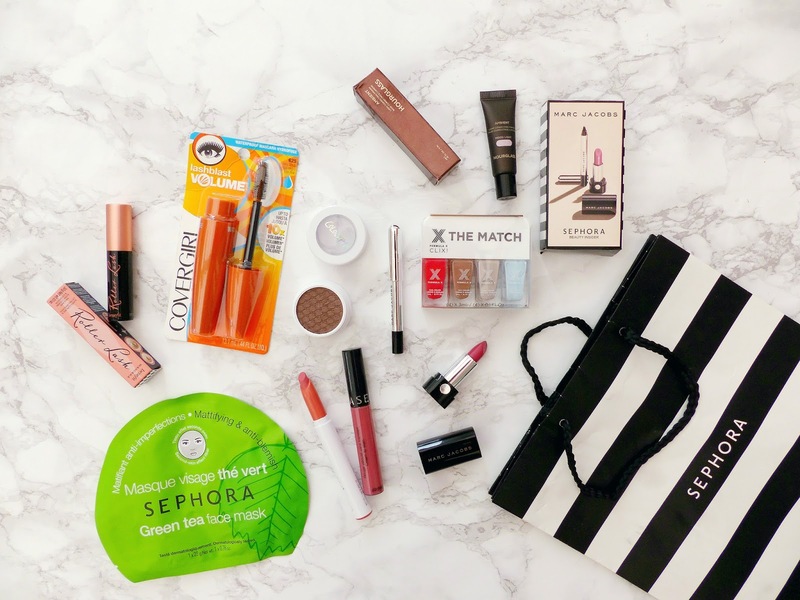 40k Followers Giveaway | Win a Sephora & USA Haul! As I'm sure regular readers are aware: I am hugely grateful for all the love and support I've had, especially over the past few months. To show my appreciation to you readers, I decided to pick up a few bits in New York to put in a giveaway. I also got a ton of Beauty Insider points so got some minis to put in the prize too. Thank you once again and best of luck to everyone entering! Once again well done on reaching 40K you've done so well! This giveaway has so much lovely things. The colour of the Sephora lip stain looks beautiful and I have been really wanting to try the Hourglass primer! I am dying to try Roller Lash! And Marc Jacobs. Oooh and Hourglass. Such an amazing giveaway! Congratulations on the 40k Jasmine, so happy for you :) such a lovely giveaway too! I would love to try the Colourpop products, been trying to try that brand for ages! Aww this is so generous! Congratulations on hitting 40k, that's amazing and you definitely deserve it. The product I'd most like to try is the Colourpop eyeshadow because I'm dying to see what the texture is actually like. Everyone says it's really unusual and I need to see it in real life! Wow congrats on reaching 40k followers! I would most like to try the sheet mask! I have never tried a sheet mask before. Congrats on 40K, you'll be hitting 100K soon! 40K!!! Amazing work, Jasmine!! So well deserved too. The colourpop products look fab and I've been wanting to try them for so long! I totally want to try the Green Tea mask by Sephora, I bet it's amazing for your skin! Congrats on 40k! You deserive it more than anyone! Your blog is just amazing! Everything looks so good! Colourpop is the one I want to try out! I would love to try the Marc Jacobs lipstick, I've heard they are amazing! Ahh so amazing to see your blog doing so well Jasmine! The colour pop makeup just looks unreal, especially the eye shadow! I would most like to try the benefit roller lash because I've heard it curls your lashes really well. Thanks for hosting this great giveaway Jasmine! I absolutely love Sephora and would love to try out one of their face masks as I always look at them but never pick them up. Congrats on reaching 40K!! 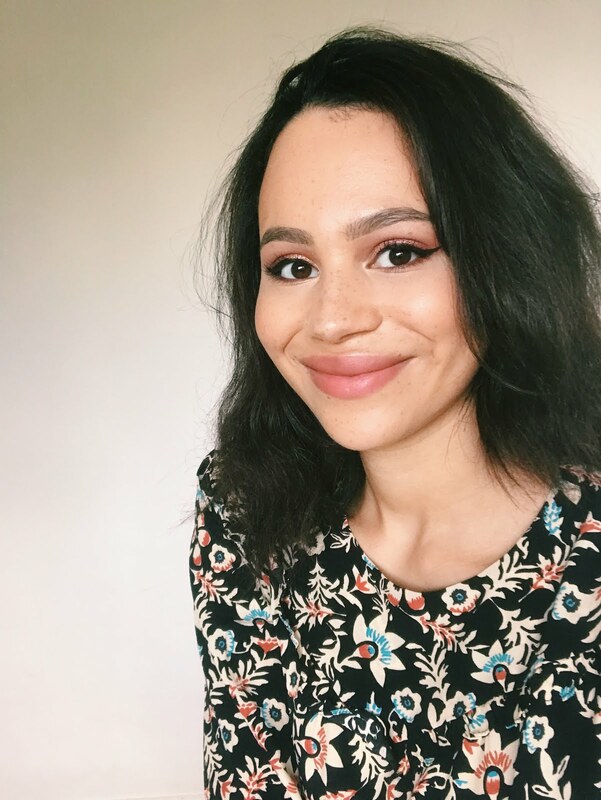 I am a fairly new reader of your blog, but I can see how much time and effort you put into your posts and it's incredible to see how passionate you are about beauty! Congrats on 40k, you so deserve it! Such a great giveaway! That Sephora lip cream looks gorgeous and I am very curious around the new Hourglass primers! It is so lovely to see your blog become more and more successful with all your hard work! I would love to try out the colour pop products! Such an amazing giveaway! I think I would be most excited to try the Sephora Liquid Lipstick, I am obsessed with mauve shades! Congrats on 40K oh my word that's amazing! I think I'd most like to win the green tea sheet mask - it looks fab! I'd most love to try the Sephora Soft Matte Lip Cream in 13 Marvellous Mauve! the green tea sheet mask looks great! Congratulations on such an amazing feat, Jasmine!! Congrats on 40K girl. Have always loved your recommendations. I'd love to try the Hourglass primer and the Colourpop eyeshadow! Such a generous giveaway - all the products sound lovely, its hard to pick but I've always wanted to try one of the Sephora sheet masks! Any volume for my lashes is needed! OMG this has to be one of the bestest giveaways on makeup i've seen! Honestly your blog is so inspiring and gorgeous and i genuinely am proud of how far you've come, well done beaut! I'd love to try the Covergirl Lash Blast as I've heard such great things about it! Love the sephora soft matte lip creams! Huge congrats on 40k!! I'd love to thy the sheet mask, looks fun! I'm dying to try Color Pop as I've always been too wary about getting someone to ship it here, although I'm so excited that they're starting International Shipping next week! 40k is huge! congrats! i'd love the marc jacobs eyeliner and lipstick mini set as its me! The covergirl mascara. I visited Sephora on Times Square this year and it was like being in a sweetie shop! 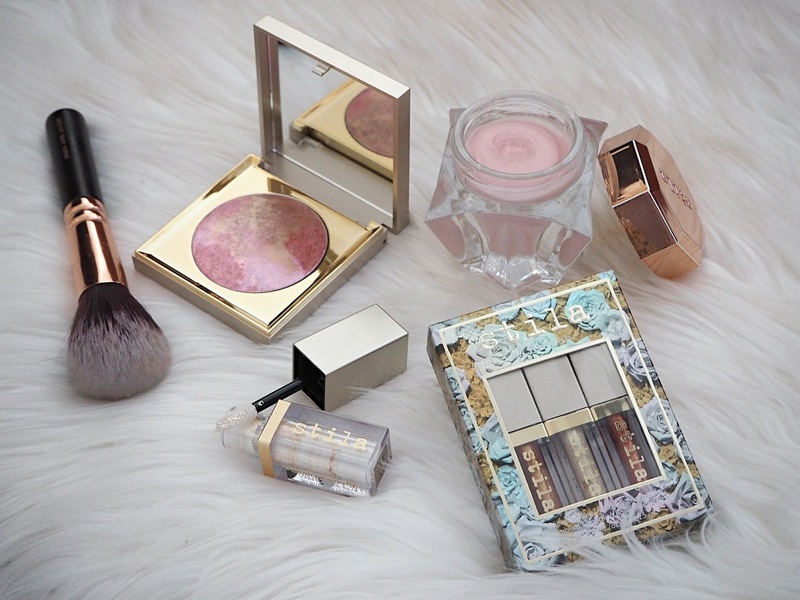 Congratulations on 40k and i would love to try the hourglass powder or the marc jacob set. This is such an amazing giveaway. The green tea face mask! I would love to try out the green tea face mask! Congrats on the 40K, it's such a huge and great accomplishment. Congrats on reaching 40k followers lovely! That's huge!!! I think I'd definitely love to try the ColourPop goodies. I've been drying to get my hands on one of their products. oooh the Marc Jacobs Eyeliner & Lipstick Mini Set! Congrats on 40k! I'd most love to try the Roller Lash mascara! Thank you! WOW 40K!!! Amazing! It's hard to choose one product I would like to try but the Sephora green tea face mask sounds amazing and refreshing! The Hourglass Ambient Lighting Primer in Mood Mini looks fab - would love to try it! Covergirl Lash Blast Volume looks good. Well, all the products do. I would love to try the Sephora Soft Matte Lip Cream in 13 Marvellous Mauve! I have been lucky enough to be brought back some amazing Sephora eyeshadow when my parents visited America last year, and have heard great things about their Matte Lip Cream, so this is mumber 1 on my must-try list! 40k is great. Good luck in future. Here is a link www.medimatkat.fi that could be useful for you. Check it sometimes. It's about finnish beauty and medicine.